REEL 1 Recollections of background in Kentish Town, London, 1895-1914: poor eyesight; clerical work; activities on joining Royal Fusilier cadets at Pond Street, Hampstead, London, 1912-1914. Recruitment and basic training with 2/1st Bn City of London Regt at Handel Street Drill Hall, 5/9/1914-14/12/1914: initial problems in enlisting because of poor eyesight; minimal medical examination; route marches; sings, 'From Wimbledon to Wombledon'. Aspects of period at Tonbridge, 12/1914-2/1915. Voyage on Galeeka to Malta, 2/1915: ruse to avoid U Boats; seasickness; conditions. Recollections of period at St George Barracks, Valetta, Malta, 2/1915-8/1915: first impressions; meeting front line units; story of mutiny over inadequate food; unloading Gallipoli wounded into St George's Hospital. Voyage on Iverna to Alexandria, Egypt, 8/1915. 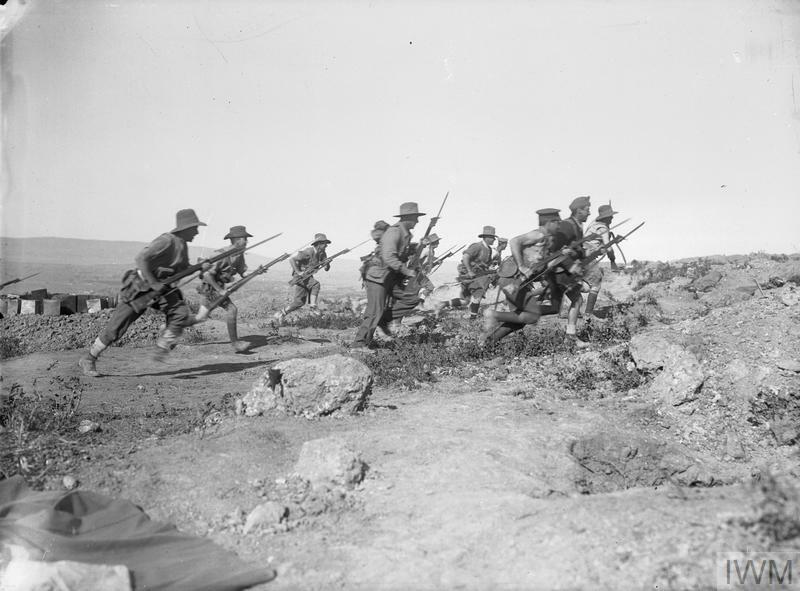 Period in camp at Sidi Bishr, 8/1915: preparations for Gallipoli; Australian riots in Cairo. Voyage on cattle boat to Mudros, Lemnos, 8/1915. 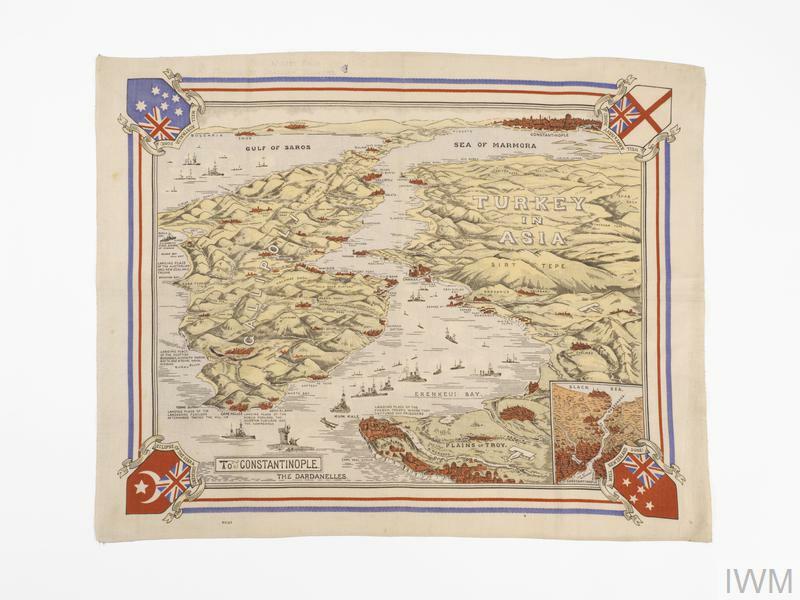 Landing at Suvla, 25/8/1915. Recollections of operations at Suvla, 8/1915-12/1915: food rations and water shortages; ; difficulty in evacuating casualties; fly problem; nature of fighting. REEL 2 Continues: naval support bombardments; barricade nature of trenches; steel observation plate; fly problem; food rations; scrub vegetation; biscuit pudding; Machonachies; rat problem; tortoises; parcels from GB; shortage of cigarettes and makeshift tea leaf cigarettes; difficulty in telling time due to scarcity of watches; personal appearance; opinion of officers; minimal washing; climate and casualties as a result of freezing conditions, 11/1915; uniform; lighters used; rest periods in reserve trenches; makeshift lamps; Long Lee Enfields issued; ammunition and equipment carried. REEL 3 Continues: nature of raids; slight neck shrapnel wound and local treatment; close escape from sniper; question of glasses; duties; rumours; unit morale and question of adequacy of training; refusal to become NCO because of poor eyesight; problems out on night patrol; situation; absence of dugouts; dysentery; lice problem; inability to change clothes; medical provisions available; gas masks issued and use of gauze to keep flies off face; sentry duty and effects of fatigue; discipline and personal morale. REEL 4 Continues: burying corpses; unofficial truce during freeze, 11/1915; raids to secure Turkish POWs; opinion of Turkish troops. Recollections of evacuation, 15/12/1915: rumours that Turks had been paid to allow evacuation; ruses to create illusion of maintained presence; fixed automatic rifles; evacuation aboard HMS Partridge; inactivity of Turks. Period at Lemnos, 12/1915: state of uniform; question of news of war elsewhere; letter contact with GB; rumour of Salonika posting; move to Helles, Gallipoli, 25/12/1915; reputation of 29th Div. Recollections of period at Helles, 25/12/1915-8/1/1916: landing through River Clyde at V Beach; lookout for Asiatic Annie shells. REEL 5 Continues: move inland and reaction from regular troops; situation in front line; preparations for evacuation; state of morale; Asiatic Annie shell fire on V Beach; food rations; cold weather; evacuation, ca 8/1/1916. Period in camp at Sidi Bishr and Warden, 1/1916-4/1916: issue of stored kit bags; meeting family friend; dysentery during train journey; canteen; opinion of strict colonel and relationship with officers; operations against Senussi Arabs and precautions against Arabs stealing rifles; visits to Cairo and Pyramids. REEL 6 Continues: visits to Cairo and Pyramids; latrines; question of use of cameras. Journey to Rouen Camp, France, 4/1916. Recollections of period at Rouen Camp, 4/1916-5/1916: baths; drill; failing surprise eyesight test and consequent regrading as C3; dissolution of unit; visit to Rouen cathedral. Return to GB, 5/1916. Period in transit camp in South Kensington, London, 5/1916-6/1916: loading army mailbags on trains and dispute with railway personnel at Victoria Station; low grade fitness of troops in camp. Posting to 100th Provisional Bn at Aldeburgh, 6/1916: composition of unit from troops refusing to serve overseas and consequent status with wound stripe and long service chevrons; coastal defence based in fortified billets; Zeppelin alarms; state of defences. Posting as carpenter attached to Suffolk Cyclists Bn at Saxmundham Estate, 1916: ruse to secure posting; preparing wooden dugout frames. REEL 7 Continues: conditions of service, pay and recreations. Period repairing billets damaged by troops in Guildford area, 1916. Posting to Royal Defence Corps at Leigh POW Camp, 1916-1919: low physical fitness of Royal Defence Corps guards; relationship with POWs and learning German; POW working parties in local factories; recreation; marriage, 8/1918; background to becoming orderly room clerk; sleeping out pass; question of superior rations given to POWs and controversy over letter written by Broughton to Daily Mail; rifles issued; medical provision and treatment for epidemic of boils. REEL 8 Continues: medical inspections of guards to check low physical fitness gradings and reputation of Royal Defence Corps; reactions to approach of end of war; armistice celebrations, 11/11/1918. Demobilisation, 2/1919: ruse to secure early demobilisation; grants paid; dismissal of replacement female workers and return to pre-war clerical job. Post-war career: securing better paid job; economic and housing situation; opinions of war.